We all knew this was coming. As many expected, the person who entered the winning bid of $9,900,500 for John Schneider’s personal 1969 Dodge “General Lee” Charger on eBay Motors last week has withdrawn it. Or at least, that’s what we’re led to believe by negative feedback left by Schneider, who on eBay goes by johnsebiz, on the profile of fellow eBay user fishbashr1. Schneider left the comment, “This is the guy that for fun, decided to bid on the General Lee. Thanks….” The comment was left at 2:57PM on Sunday, May 7th. On the auction page for item #250108256198, fishbashr1 is listed as the winning bidder, which is pretty damning evidence that this transaction is not going to take place and that the General will remain in Schneider’s possession. We know what you’re really worried about, though. What will become of the sequel to Schneider’s self-financed film Collier & Co., Hot Pursuit! 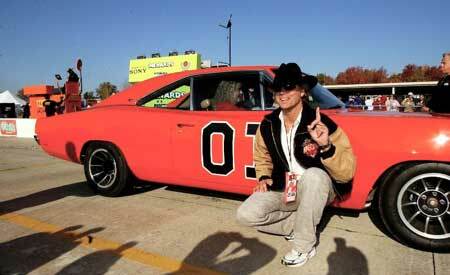 that was reportedly going to be financed by the sale of John’s General Lee? It’s in fate’s hands now.